Microsoft has indicated that it will celebrate the first birthday of Kinect by announcing the Kinect for Windows commercial program will launch early next year. 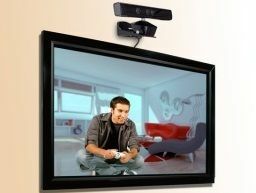 The Kinect for Windows commercial program is intended to give businesses the means to develop tools with the motion sensor that can hand them an advantage. "The commercial program will give businesses the tools to develop applications that not only could improve their own operations, but potentially revolutionise entire industries," explained Microsoft's release. "To date, more than 200 businesses worldwide - including Toyota, Houghton Mifflin Harcourt and Razorfish - have joined a Kinect for Windows pilot program to begin exploring the possibilities of Kinect. "While no one knows what the future holds, if the past year is any indication, it's going to be inspiring." The potential for Kinect has always been a focus of Microsoft's – and the cool elements of a voice and motion sensor are clear. Microsoft, in typical fashion, is keen to build an ecosystem for its product, which shattered consumer electronics records when it arrived for the Xbox 360. "Six months ago, a diverse group of hobbyists and academics from around the world embraced the possibilities of Kinect," added Microsoft. "In a wave of creativity, they downloaded the Microsoft Kinect for Windows SDK and began developing creative applications and innovative uses in healthcare, education, art and so much more. "Microsoft has recognised this phenomenon as "The Kinect Effect." It will be intriguing to see what the tool set handed out to businesses is, and just what they can do with a sensor that can pick out individual limbs and also listen out for instructions.